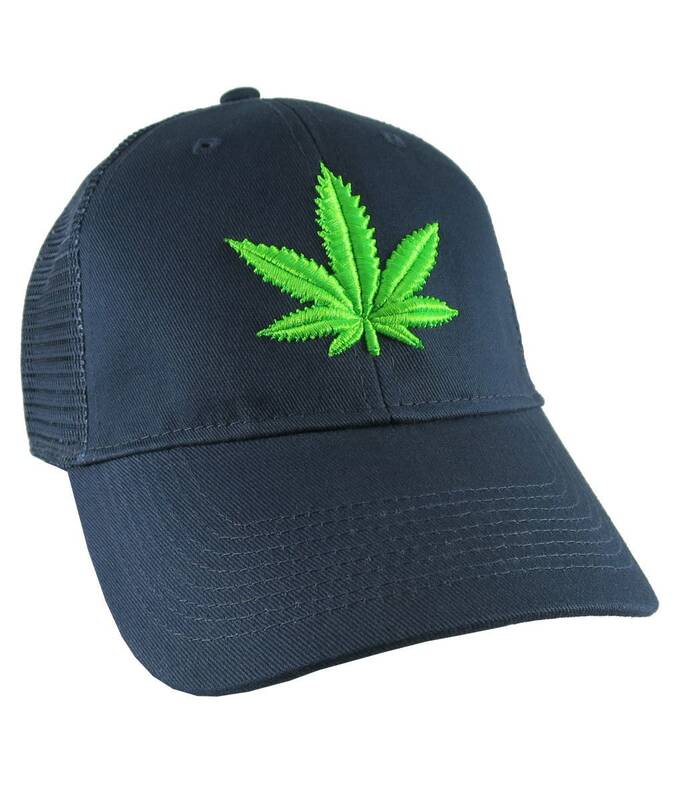 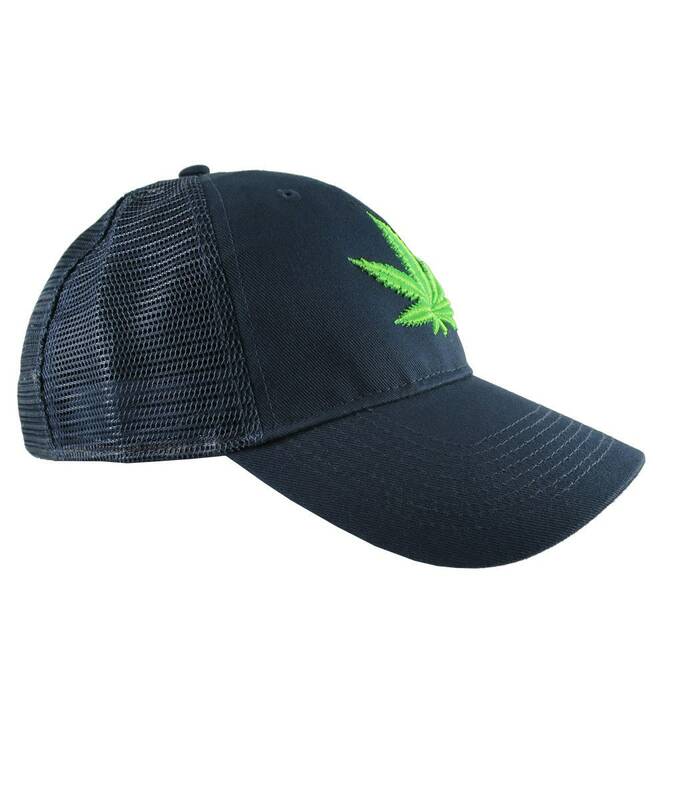 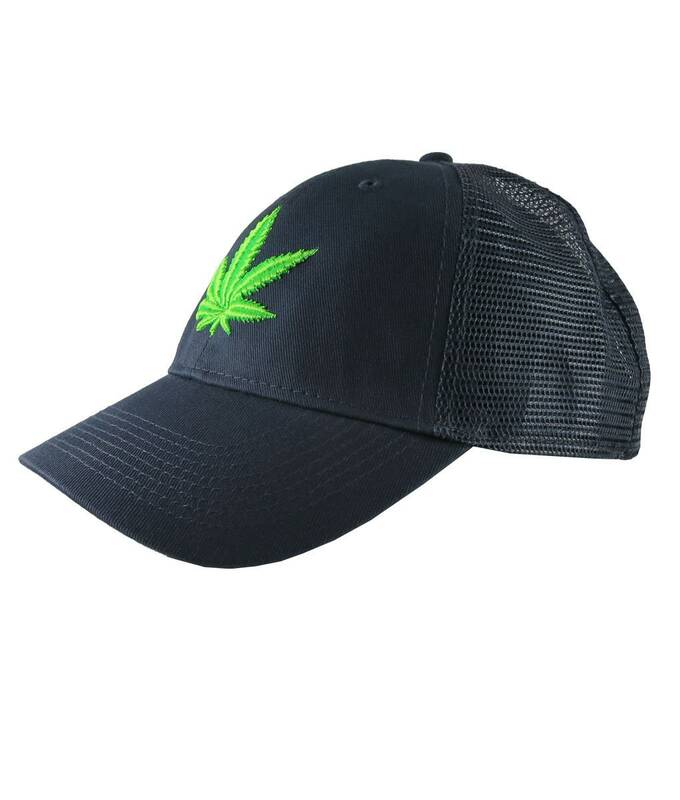 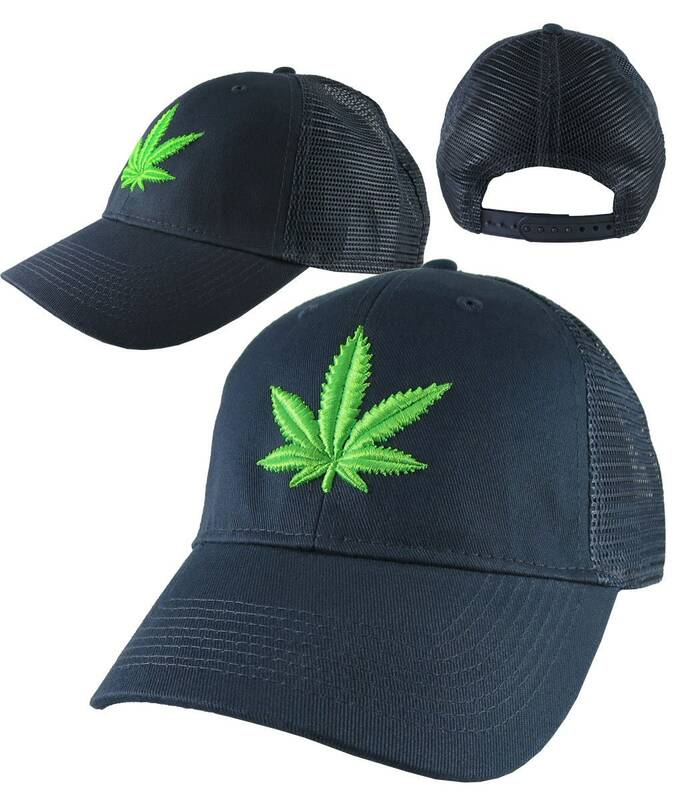 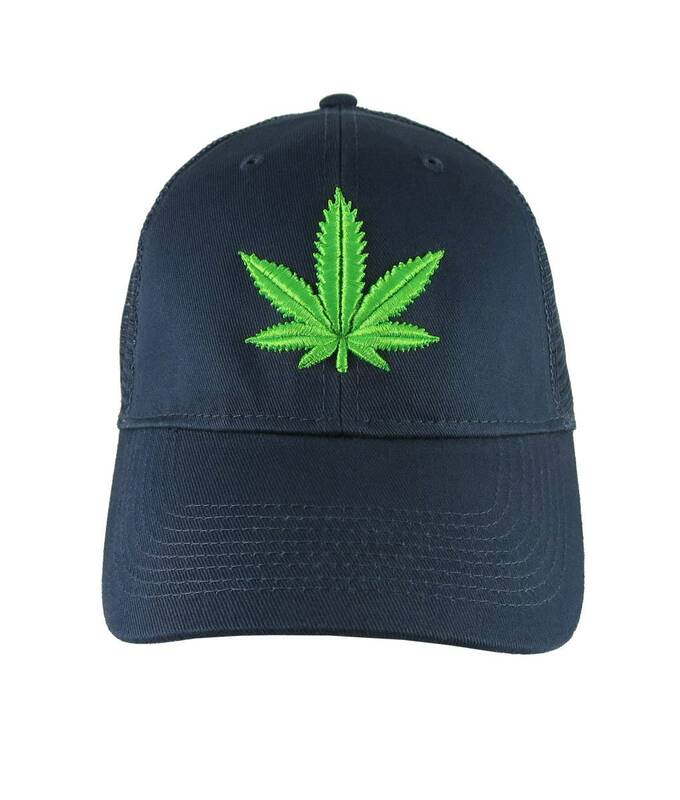 A marijuana pot cannabis leaf design done in 3D puff raised embroidery and embroidered on a navy blue adjustable structured classic trucker style cap. 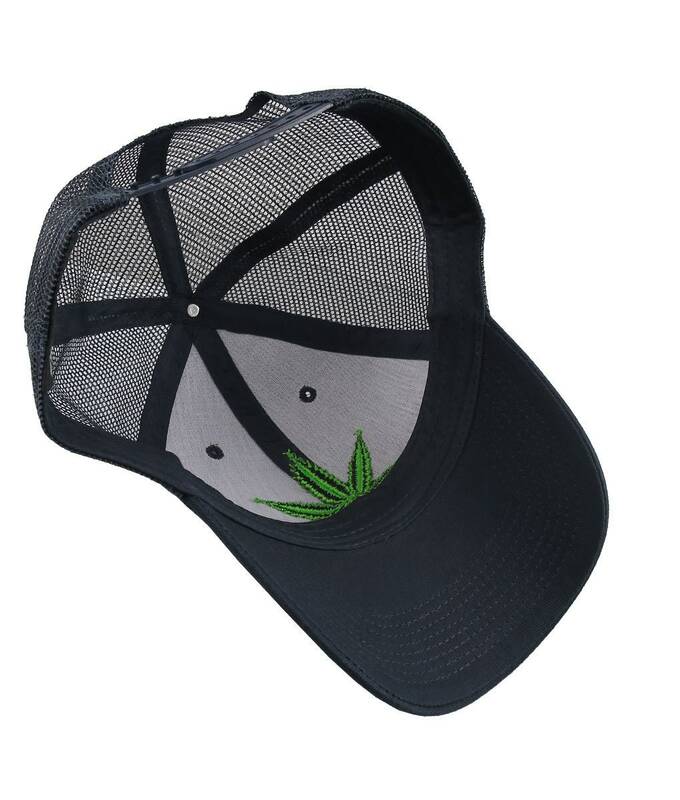 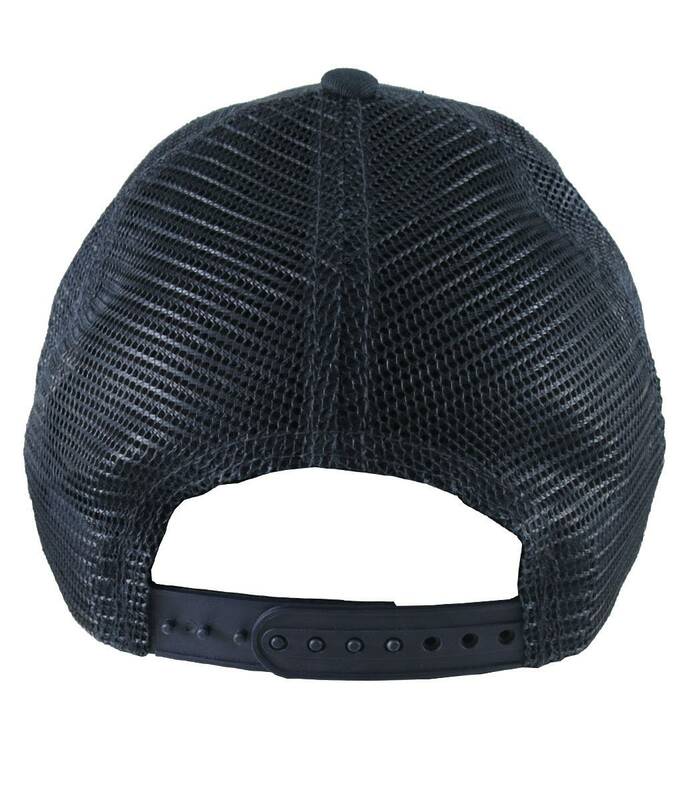 It is a sturdy and comfy hat and a winning candidate for everyday wear as well as for making a fashion statement on, or off the fields. 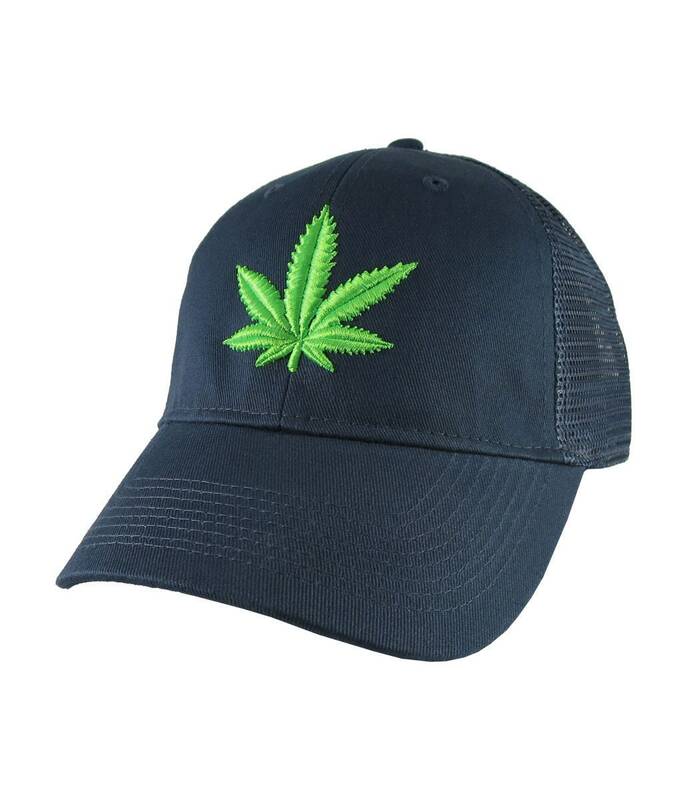 A great 420 gift idea for yourself or for someone special on your list.